You open a book and find it has been written for the memory of eight people ages 19 to 33 from the Appalachian area. What is their story, and are there universal messages for all of us? I’m your host, Dr. Maurice Pickard, and you’re listening to Book Club on ReachMD. And with me today is Beth Macy, longstanding journalist in Roanoke, Virginia, the past author of the national bestseller, The Factory Man, and today we’ll be discussing her soon-to-be-released book, Dopesick: Dealers, Doctors, and the Drug Company that Addicted America. Thank you very much for joining us today. Thank you, Dr. Pickard. It’s great to be here. To begin with, I’m not familiar with the word Dopesick. What does it mean? Well, that explains it. I certainly have not heard that. I know that you have lived in the Appalachian area, in the Shenandoah Valley, for a long, long time, and your book deals almost entirely with patients in that area. Do you think that the Appalachian area and the effects of, say, even our economy might have led to the epidemic that we’re now seeing so much? We know that the highest death rate is in West Virginia, so is there some correlation with the geographic location that you live in? Well, absolutely there is. I tell the story of the epidemic as I witnessed it landing in three different kinds of communities in over three different time periods, roughly, going back to Central Appalachia—which is about four hours west of my home, by the way—where OxyContin abuse became a huge deal as early as the late 1990s, just a year or two after it was released, and what I learned in my research was that the pharmaceutical company was targeting areas with high disability and distress. The sales reps for Purdue Pharma went after the doctors who, according to data, were already prescribing higher immediate-release opioids and then tried to convert them to OxyContin, which they said lasted over 12 hours and would give patients uninterrupted sleep. And the FDA allowed the approval of it along with language that said, “because of the time-release mechanism, it is believed to reduce abuse,” and that sort of squishy claim got then made into a solid claim that got re-trumpeted and re-trumpeted by reps all over the country until it was like a game of telephone gone awry. But if you look back in these first sentinel communities, places like Machias, Maine, where fishermen and loggers were—and crime was going up in those early OxyContin years, and you look at Lee County, Virginia—which is where the first third of my book takes place—they were seeing the effects of OxyContin abuse immediately. Lee High School juniors reported in 1998 that a large percentage had already used OxyContin, and one of the drug detectives in that region said as early at 1998, ’99, you could tell who was abusing the pills because the 80 mg pills came in green and the 40 came in orange, and people would be walking around with green and orange smudges on their shirt where they had put the pill in their mouth, sucked it so that the coating, the time-release coating, dissolved and then got the full bump either by snorting it or injecting it. So it was clear right away to people in the small towns, in the distressed communities where there had already been high rates of unemployment and economic distress, that the pills were being very aggressively marketed and abuse was becoming rampant, as was crime. You talk about the disease of despair, and this certainly is tied into it. It is you lose your job. You talk about the disability claims becoming the new factory for communities that you’re so familiar with. Could you tell me, do you think the effects of states not expanding Medicaid, even though it involves federal funds—in other words, to money out of the State pocket—has something to do with the care in certain states like West Virginia? Yes, in Western Virginia, which I write about; but yes, the diseases of despair in Lee County, which is one of the poorest counties in the state and in the nation, we’re talking about a community where 57% of working-age men are unemployed. They do not work, many of them on disability. And as I was finishing up my reporting, I felt that Central Appalachia deserved the last word, and so I went back and did some additional reporting on how those communities are doing now. It’s kind of the same technique that I used when I wrote Factory Man, which was about the aftermath of globalization. I’m not going to tell you just what happened, but I’m also going to say: How are the people there doing now? And when I went back, what I saw in the middle of this huge national debate about the current presidential administration trying to kill the Affordable Care Act and Virginia legislators not passing Medicaid—although, they did pass it finally in the last session, but this is last summer when I went back—what you saw was people dying, people who had been clean for years dying of untreated hepatitis C because they didn’t have insurance; they didn’t have Medicaid that would have given them that specialty treatment. So we’re still paying for them to be in critical care at the end of their life at astronomical sums, but it would have made so much sense, both for their lives and their families, and it also would have been cheaper if it would have been treated upstream, and Medicaid expansion is the number one tool for coping with opioid use disorder. In your title you certainly point towards dealers, doctors, and companies like Purdue that has had litigation against them and lost litigation and had large fines. You also talk about: Are they really hurt? You mentioned, interestingly, that they sent 9 million doses to one pharmacy in a town that had a population of 392. Do you think we’re doing enough as far as the media to really convince people that Big Pharma, and in this case this particular company, has really done enough? because they continue to be a very, very successful company. Yes, making billions of dollars. You asked if the media had done enough. I mean, another thing worth pointing out is that all of this is happening against the backdrop of declining media, especially smaller markets. I mean, there are towns that I write about in Dopesick that no longer have newspapers, and papers like a bigger paper that I worked for in Roanoke covering the outlying areas where this OxyContin epidemic first was seeded, we were cutting back our bureaus and things like that, so we also weren’t covering it, except for the big splashes like the 2007 hearing and some initial stories which were really well-reported. The story you’re talking about in Kermit, West Virginia, where millions of pills were sent to a tiny town of 400, I mean, that’s just shocking, and that was the failure of the DEA to regulate and distributors not calling, not being suspicious about an order. Nine million pills to a town of 450 people? Eric Eyre, who is an incredible reporter in Charleston, West Virginia, broke that story and won the Pulitzer for it, and that’s fantastic, but you worry about the declining influence of the media and the business model which doesn’t seem to be in the favor of democracy, so I do worry about that. 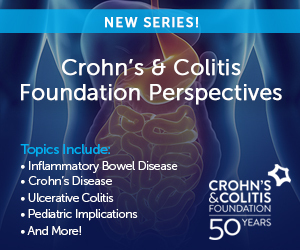 Our audience is primarily doctors, nurse practitioners, and other kinds of caregivers in the medical community, and it’s been pretty well established that this is an iatrogenic epidemic. Doctors have been bounced around. I remember certainly being told that my approval rating by the hospital or in the medical association was whether I was adequately treating pain, that pain should be the fifth vital sign. So now we have people overtreating, and now there is a question whether there’s a pendulum swinging the other way. Again, how can we do more with our colleagues to get them more involved, not only in how they prescribe, but are they going to become part of medical-assisted treatment, which is still a controversy? And can you say something about MAT for us? I said this recently in a meeting to a roomful of mostly doctors—and I was a little, maybe a little tad bit more passionate than I should have been—but I held up a photograph that I carry with me in a locket of one of my main characters, Tess Henry, that her mother gave me, who became addicted by being overprescribed at an urgent care center, and Tess told me the first time I interviewed her in 2015, “What we need is urgent care for the addicted.” And I held it up and I said, “I believe any doctor who took a freebie from any pharmaceutical company should feel morally compelled to become waivered to prescribe Suboxone because these people are in your practice.” But we don’t want to talk about it. We don’t want to offend the upper middle class people. Someone in my book says, “That’s why movie stars and people like Prince get the worst healthcare, because nobody wants to tell them they have an opioid problem.” But we’ve got to start doing universal screening because this is out there in our communities. And I know that a lot of professionals find it difficult to deal with users, but that’s your mission. That’s why you got into this. If you’re just tuning in, you’re listening to Book Club on ReachMD, and I am your host, Dr. Maurice Pickard. And joining me today is Beth Macy, the author of Dopesick: Dealers, Doctors, and the Drug Company that Addicted America. I get the feeling that in my community I have not seen doctors rush to get a waiver, which doesn’t really involve that much as far as continuing education. I’m concerned. Like you just mentioned, there is a tremendous shortage of people who are available to treat this disease. And it is a disease, and I’ll come back to that with a question. I was kind of really impressed by Dr. Art Van Zee, who’s a doctor in your community who is somebody that we probably should all read about and be admired. But you touch on something that I’d like to come back to—is that this is a disease. Opioid use disorder is a disease. It’s a disease that will, indeed, cause relapse. We don’t complain about our diabetics who get out of control, but there is a stigma that has to be approached that I wonder what your opinion is—again, going back to the media and to medical associations—that this is a disease and we better begin to think about it as a disease and treat it as such. Could you please comment on that? Dr. Pickard, I totally agree with what you just said. I think there’s a huge observation bias that helps fuel the stigma. At the end of my book, some of Dr. Van Zee’s patients who have been in a stable, long-term Suboxone program with counseling and support with Sister Beth Davies—also a hero in the book—you see them getting their kids back, getting jobs, getting off disability. Do you know how rare it is for someone to get off disability? And yet, they are getting off disability. The person I’m thinking of in particular didn’t want her name in the book because there is such a stigma attached to being on MAT, especially in rural areas where there has been a lot of abuse and diversion of it, but I think if we had a more vocal... It’s kind of chicken or egg. If you had a more vocal recovery community that believed in MAT, that would help take the stigma down. But Tess Henry, one of the main characters in my book, I went with her to NA meetings in which she was referred to as “unclean” and no one would be her sponsor because she was taking Suboxone at the time, and I think physicians could really step up. I know doctors who are MAT prescribers who work through their lunch and stay late—which I know in the physician world many people do this—but they are so overworked and overwhelmed in dealing with the kind of life and death stuff every day, and if, for instance, the psychiatrist that I write about, if he had more help, if more doctors were waivered, he would be able to cut his waiting list, but they all have really big waiting lists. I agree with you. We all are supposed to know CPR. And there was a recent article by Danielle Ofri, a writer who we have had on the show who writes What Patients Say and What Doctors Hear. But not to digress, her article was she’s walking down the street with naloxone, an antidote for overdose, with her daughter, and she sees somebody slumped on the street, and she pauses and wonders, “Do I approach this person? Is he just sleeping? Is he homeless, or is he actually in the midst of an overdose? And I have the treatment for it.” And she walks up to him and nudges him and he’s just dosing. And it made me think, should physicians or caregivers or policemen and school teachers all be given naloxone to walk around with and be ready to treat just like you would if there was CPR? And this all goes back to this concept of MAT treatment. There is a real pushback by 12-step people and also people who feel we’re substituting another drug for somebody who is already on drugs. How can we change our culture? Well, I just think we’ve got to do better public education. In Virginia, the state health official made it so you could go to CVS or Rite Aid and you could buy naloxone over the counter. I do believe that everybody should get trained and have it. I think it should be in every medicine cabinet, just the way almost every medicine cabinet has some opioid pills, right? And another kind of low-threshold, easy way for people to access not only naloxone and MAT treatment but also clean needles… That’s also very controversial, but what they are is needle recovery and exchange, the returning dirty needles in exchange for clean ones. And they are making these personal relationships with the people who run these exchanges, and they are hearing, they’re seeing other people in recovery; they are getting connected to services. Homelessness is rampant in this community, and they are getting connected to social services and, ideally, an MAT program, and we just need more low-threshold things like that. What did President Trump call it, a public health emergency? I mean, I think it should be declared a national emergency and all these efforts that we’ve been discussing here today implemented. Before we leave, I do want to thank you. When I finished your book—and I’m kind of paraphrasing something within it—I was left with the thought that if the Federal Government refuses to elevate the methods of treatment and research and harm reduction over punishment in jail, the community will have to save itself, and I think that’s what your book really conveys to us, that it has to be a grass root type of thing if we don’t have a more national approach to us. Before you leave, could you leave us with some kind of comment to take forward, what we should think about picking up your book? I think we’re leaving it to families to deal with the worst drug epidemic in the history of the nation. I mean, it’s the institution that ends up doing everything. I mean, you see these mothers in my book. You see first responders in my book. They are just aging before my eyes—a drug court judge whose hair turns from salt and pepper to white in the course of a year and a half that I’ve been interviewing him, and a policeman friend of mine who got stuck with a needle, a dirty needing, and then had to get hepatitis C testing for a whole year. And, I mean, we do need the Federal Government to be involved. The Congress has issued or approved, I think, 6 billion in treatment so far. I mean, we are going to pay for this one way or another, so why not pay for it upstream? I think the last time I checked, 25% of those Cures Act monies had actually funneled down to communities, and so there needs to be a sense of urgency at all levels. I think citizens need to vote with an eye toward this, just like the media needs to do more reporting on it. Are you voting for a representative who takes a lot of money for pharmaceutical companies? I mean, we really need to be looking at that. Are you voting for commonwealth attorneys or prosecutors in your district who are opposed to MAT in drug court? We need to look at that. 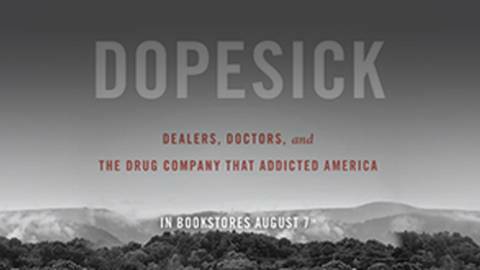 So, all of us, get the book, Dopesick: Dealers, Doctors, and the Drug Company that Addicted America. This is Maurice Pickard, and if you’ve missed any of this discussion, please visit ReachMD.com/bookclub to download this podcast and many others in this series. Thank you for listening. In a striking portrait, “Dopesick” takes you into the opioid crisis’s epicenter, bringing to focus each facet of our nation's struggle with addiction. Beth Macy’s Dopesick is a heartbreaking trajectory that illustrates how America’s twenty-plus year struggle with opioid addiction has persisted for this long and has become so firmly entrenched in practically every corner of our country—from desolate cities to once idyllic farm towns. Tune in as Beth Macy joins Dr. Maurice Pickard to illuminate the persistent and often conflicting gaps in the treatment and criminal-justice landscapes while shining a hopeful light on the heroes battling the worst drug epidemic in American history.